We’re not ashamed to admit, it’s Boulder’s world, we just live in it during the workday (our office was in the Meers Advertising building so we got to spend lots of time with this most precious pooch.) 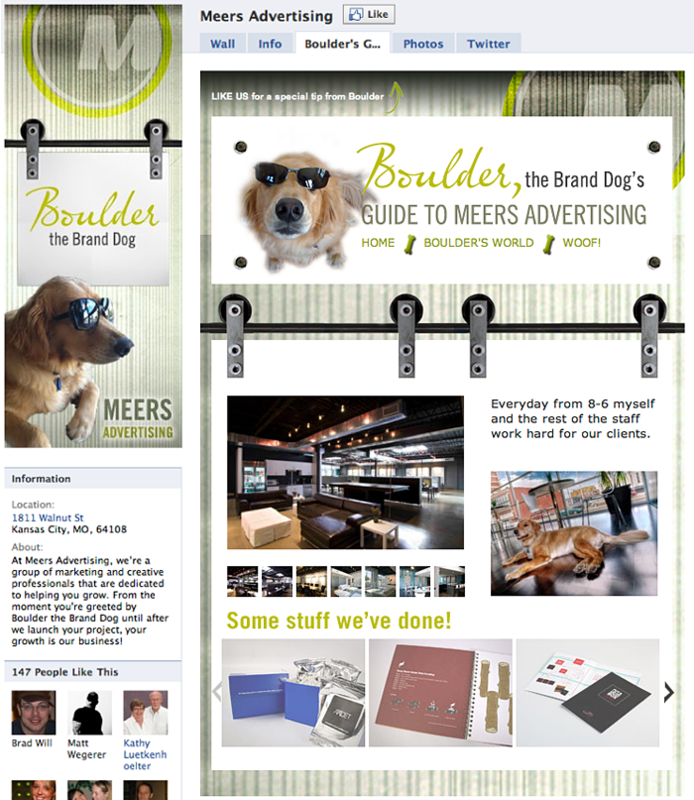 When she suggested that we design a Guide to Meers Advertising to talk about what they do on their Facebook page, we jumped on the idea. From tips to a text campaign (you could text TREAT to 74574 and see one of the things Meers does best) to crowdsourcing the conference room snacks, Boulder is the best Greeter the agency has ever had. And if you wanted to know more, you could send her a note on the Facebook tab. 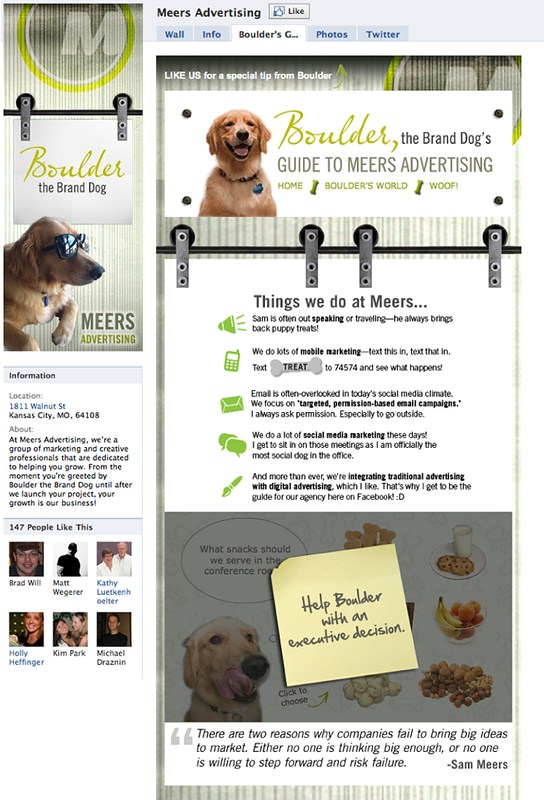 Boulder Meers is one of the greatest dogs in the world. We will love her forever. 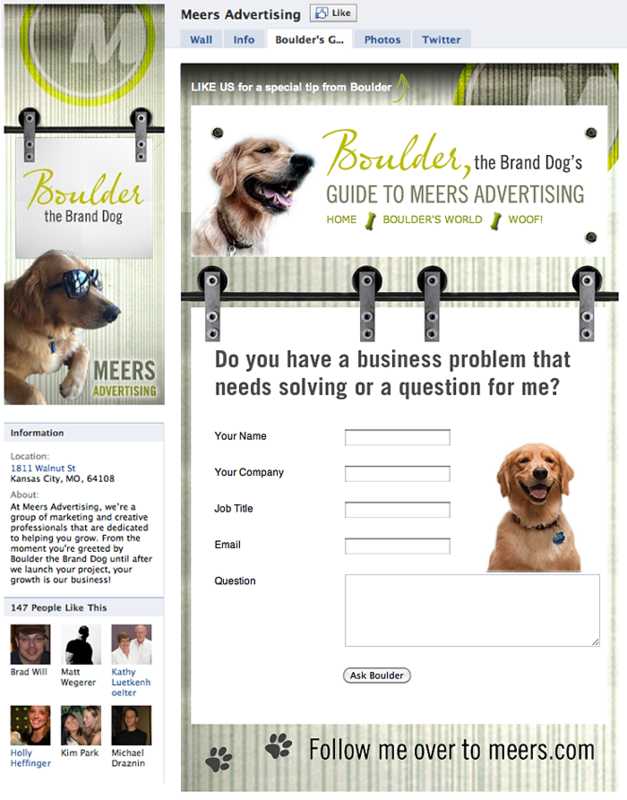 You can find her at Meers Advertising.